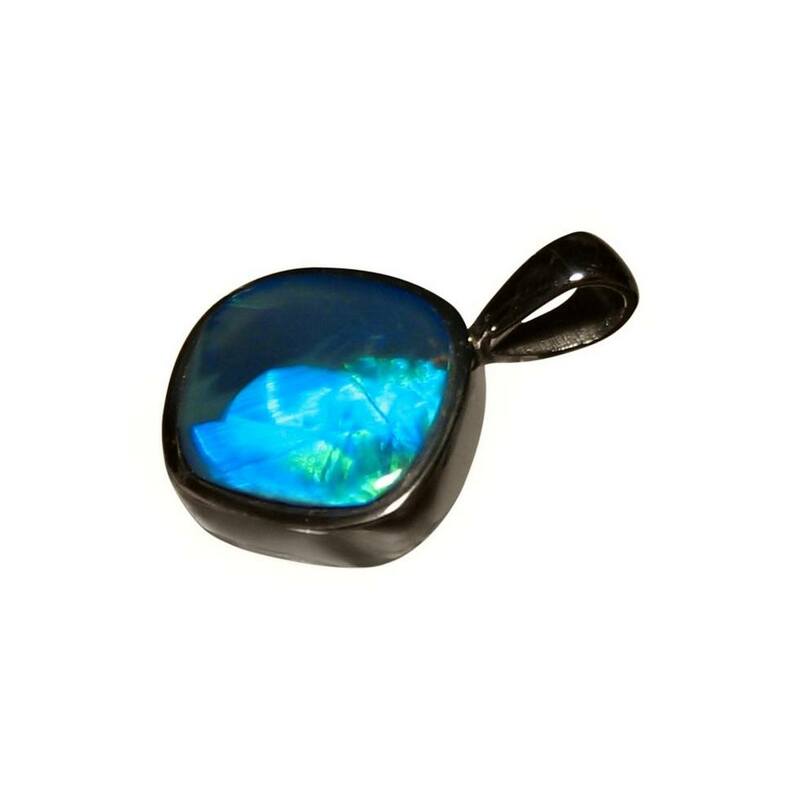 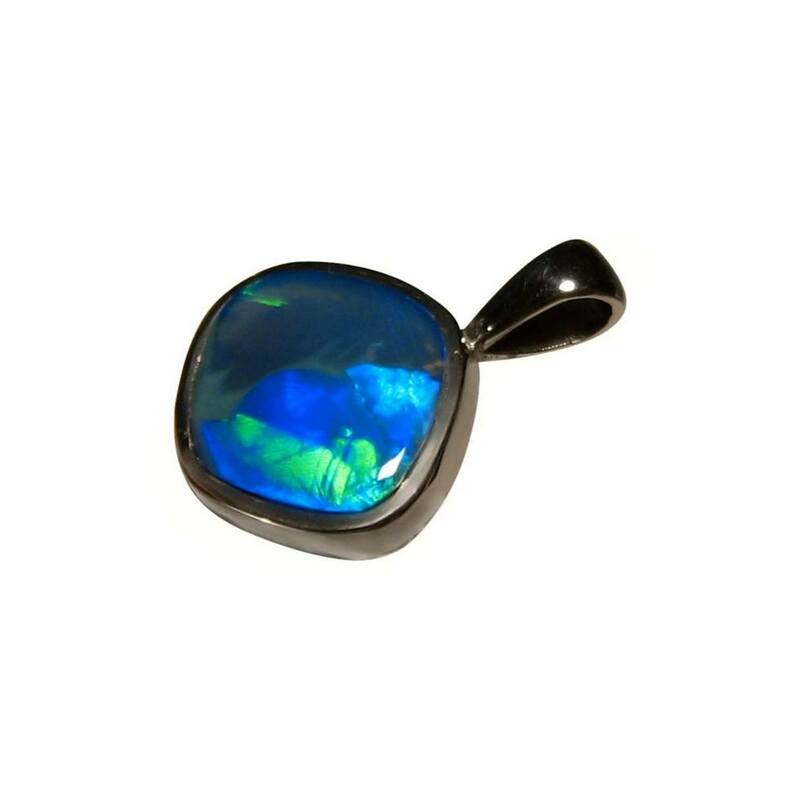 A unique Opal pendant in 14k White Gold with bright Blue and Green in a Harlequin Roll play of color. 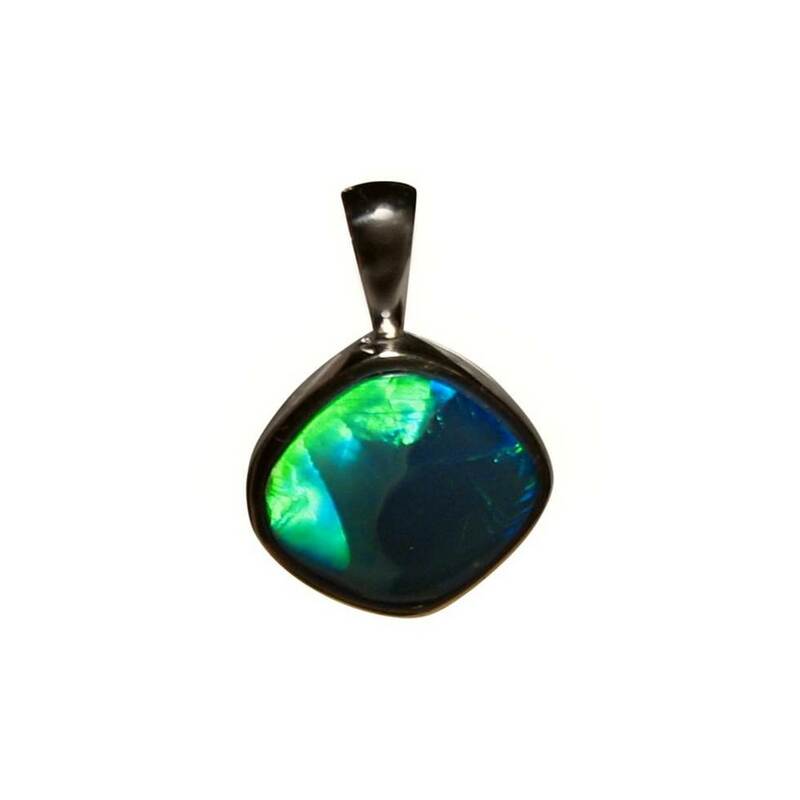 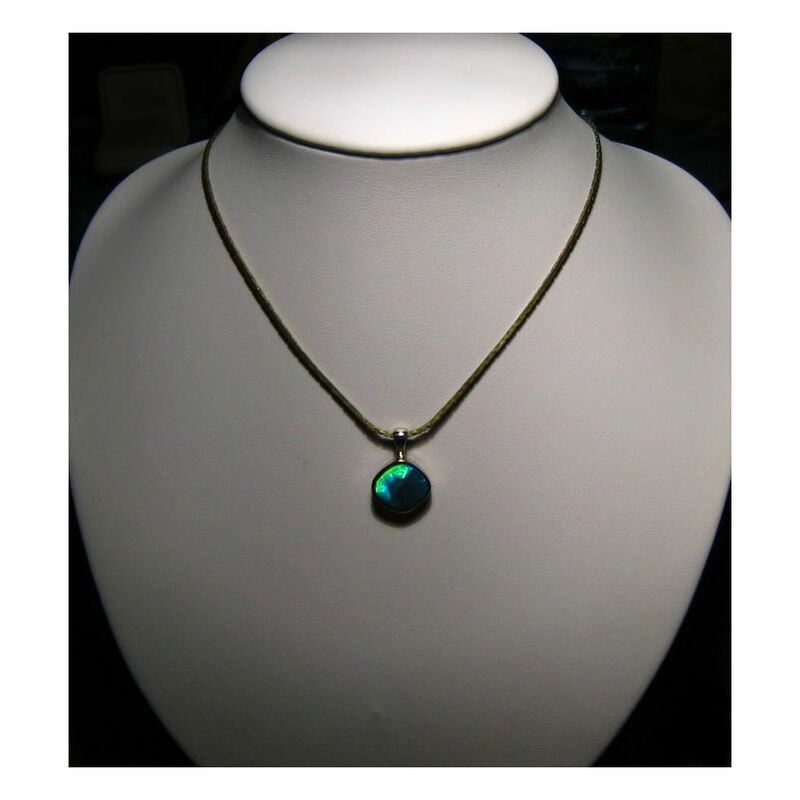 An Opal pendant in 14k White Gold set with a natural Black Crystal Opal from Lightning Ridge. 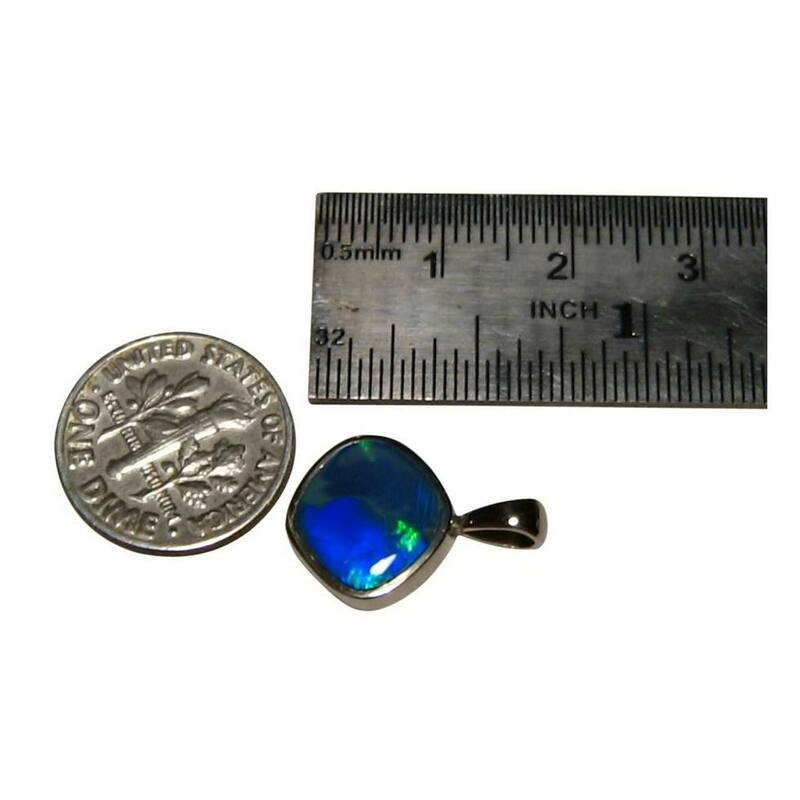 The Opal weighs 2.5 carats and has a fabulous mix of Blue and Green which is highlighted against the White Gold. 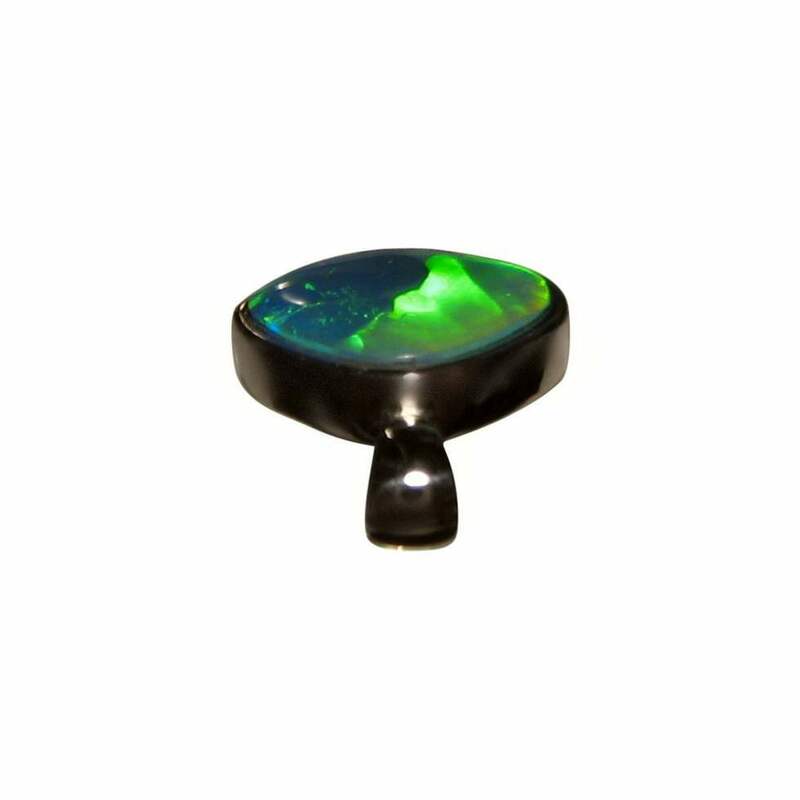 The colors are bright and have a directional flash of Harlequin Roll which draws attention to the Opal with movement and you will see this in the video below. 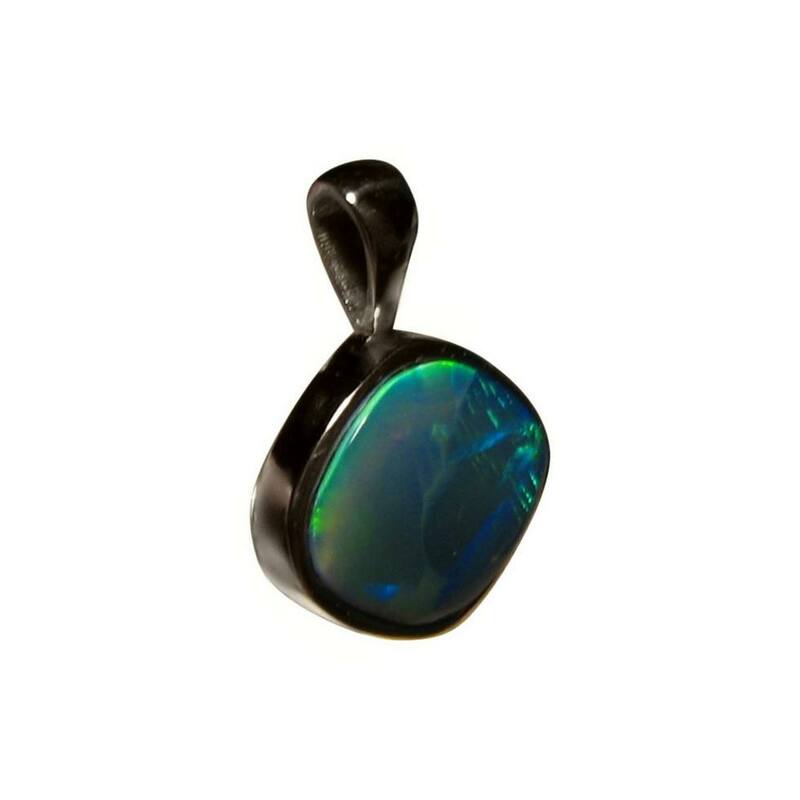 A simple yet stylish Opal pendant that is ready to ship now.